Hattie Brooks was the daughter of Samuel and Mary Jane (Lightcap) Brooks. Mary Jane was the sister of my ggg-grandfather, Levi. 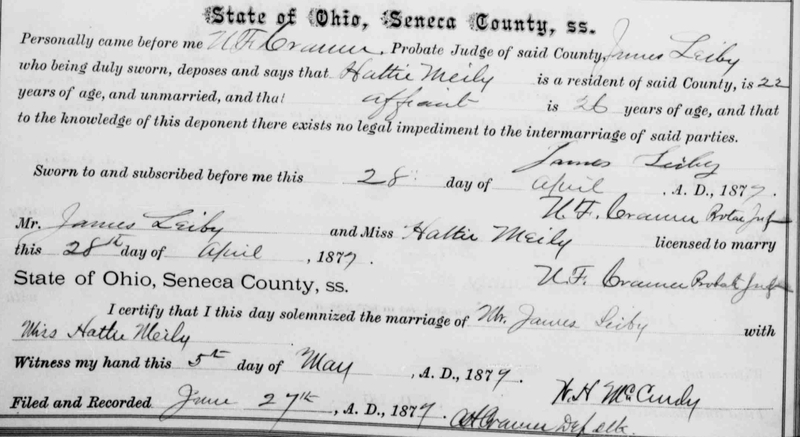 Hattie married her first husband, Anson Miley, on Christmas Day 1872 when she was 16 years old. He was 33. Their son, Drayton Luther Anson Miley, was born January 1874. Anson died in October 1875 leaving Hattie a widow. 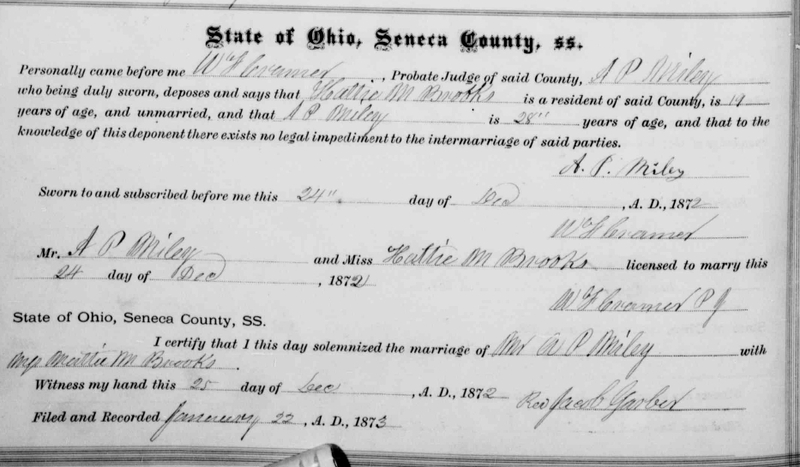 Hattie married James Leiby in May 1876. To this union, nine children were born: Helen, George, Henry, Herbert, Dora, Jennie, Edward, William and Howard.